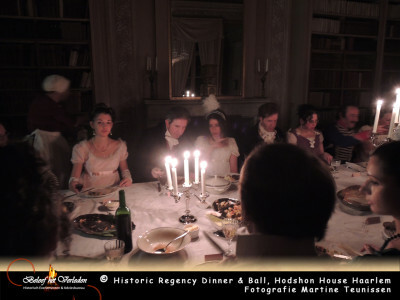 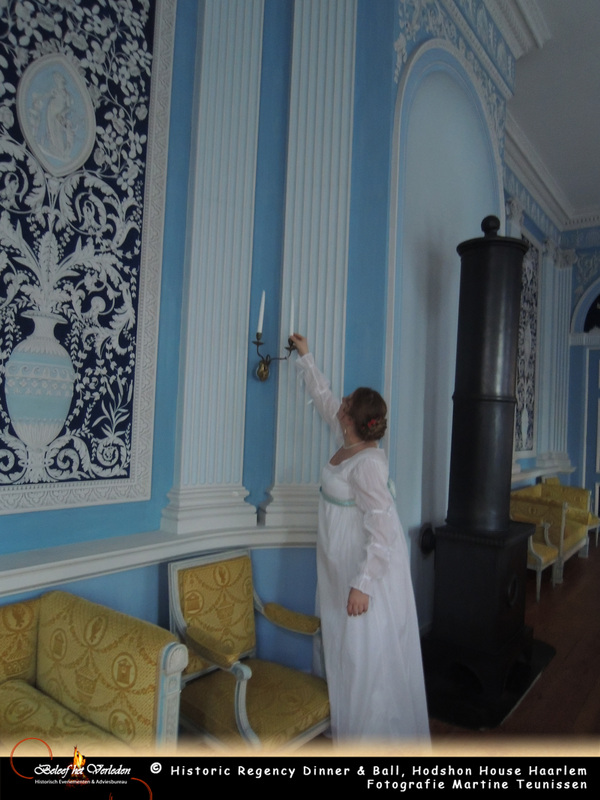 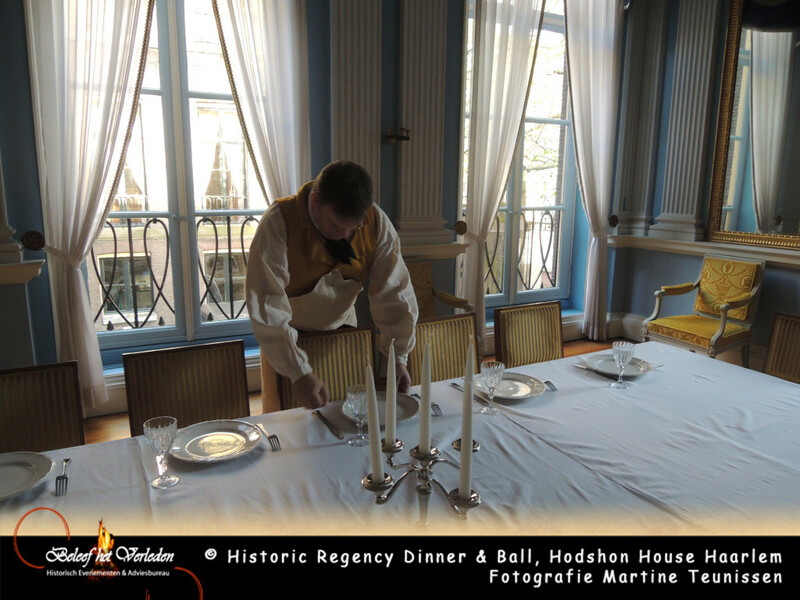 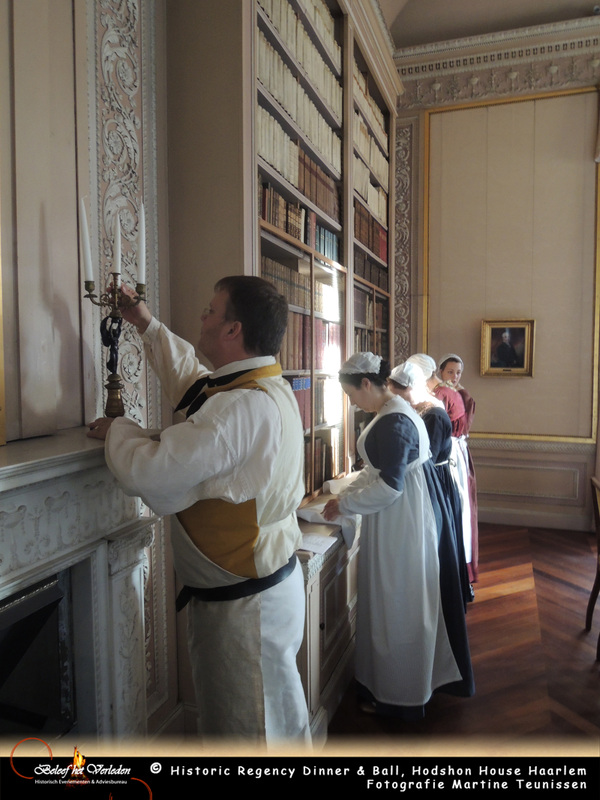 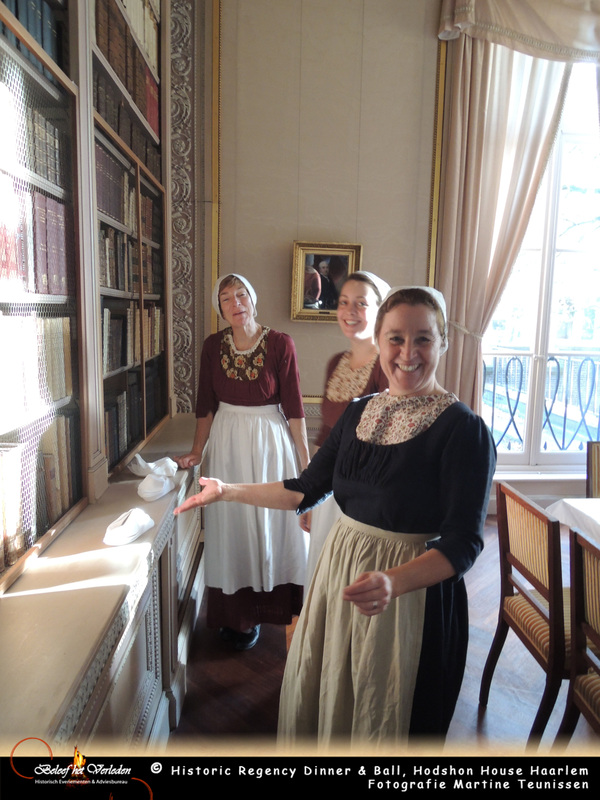 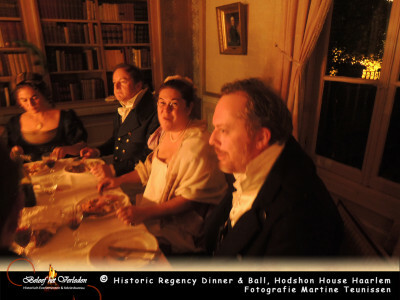 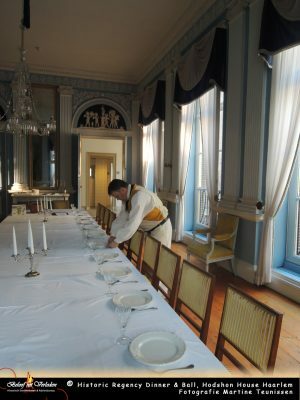 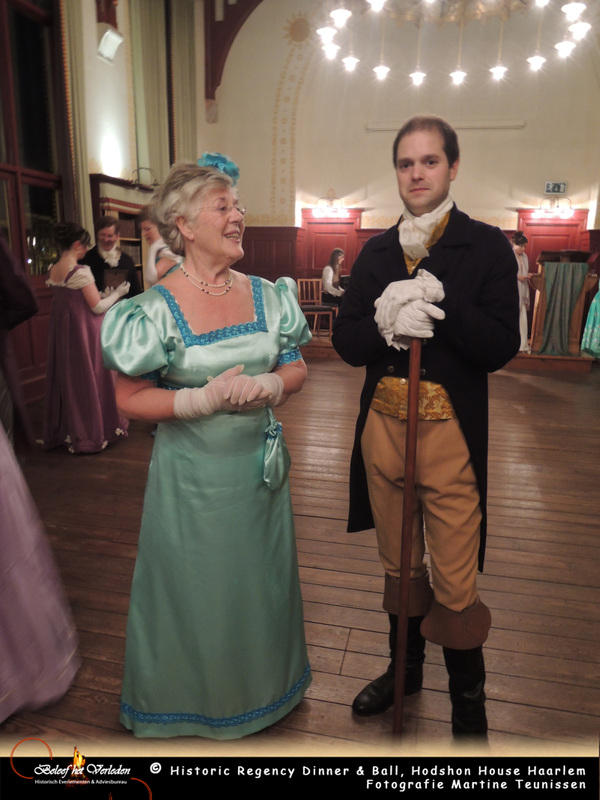 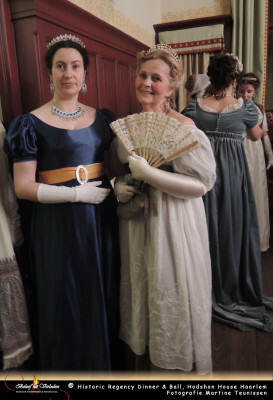 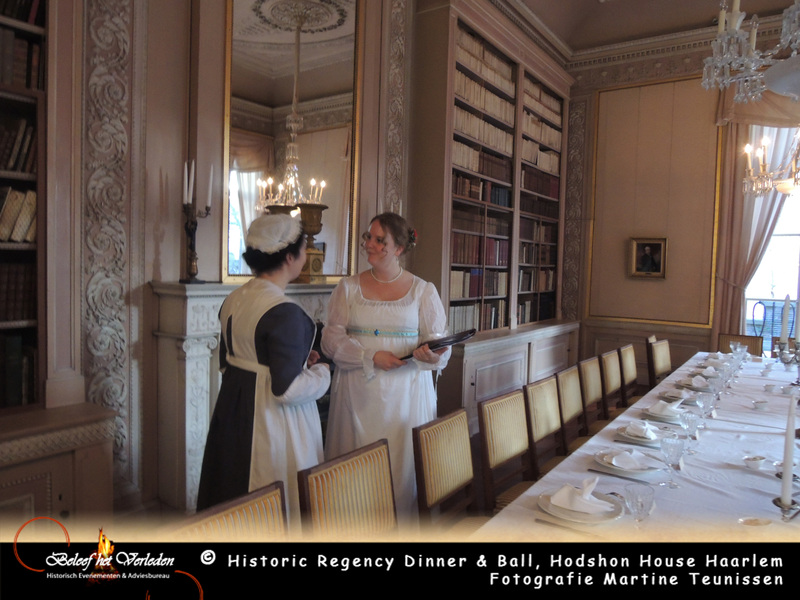 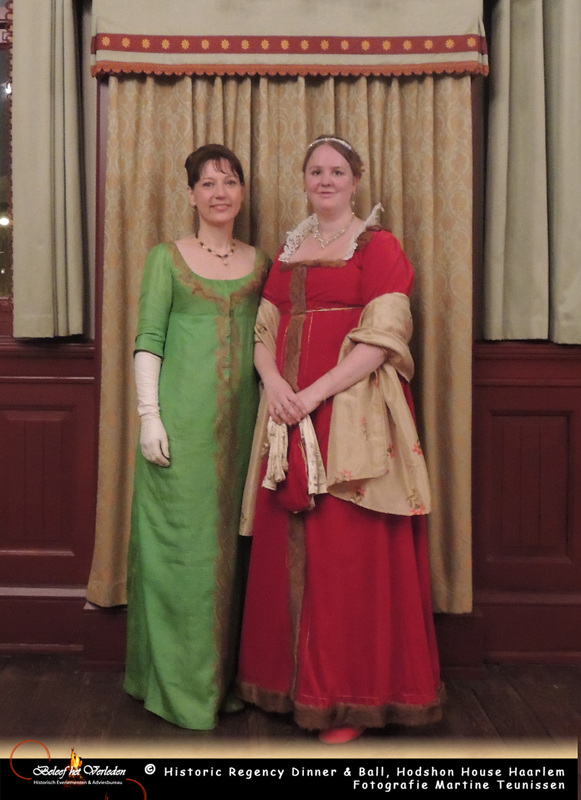 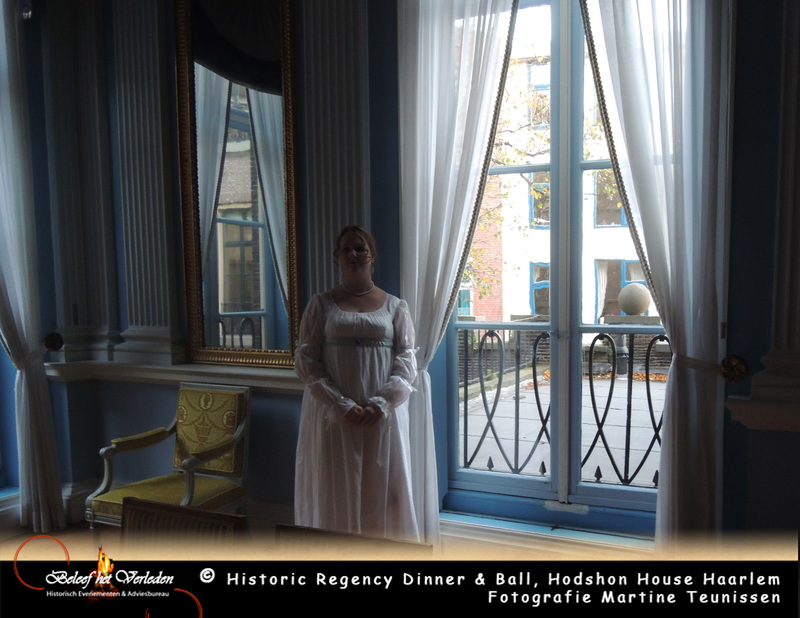 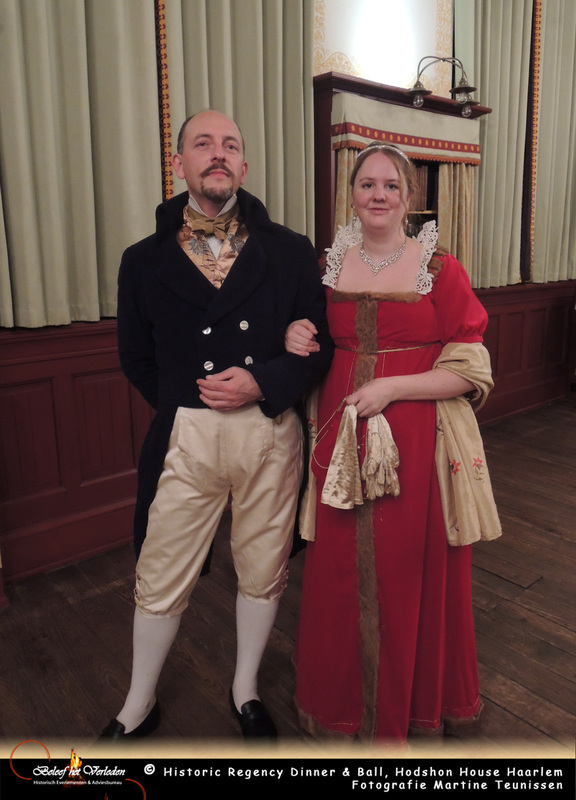 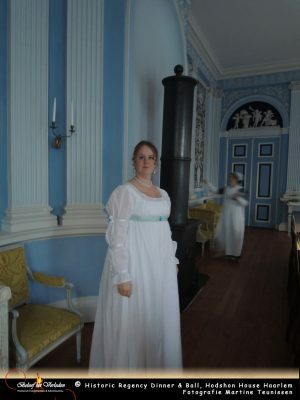 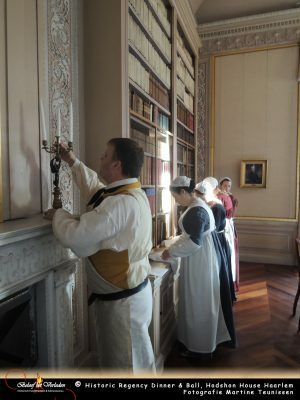 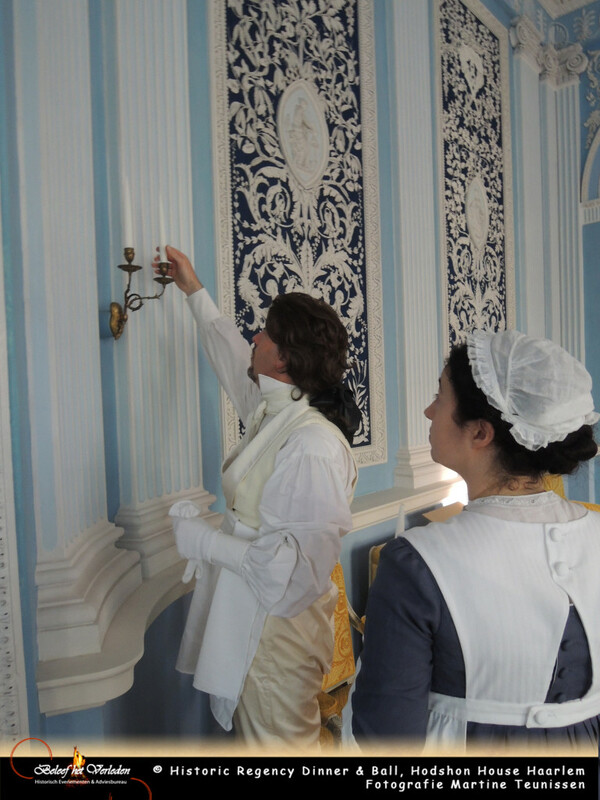 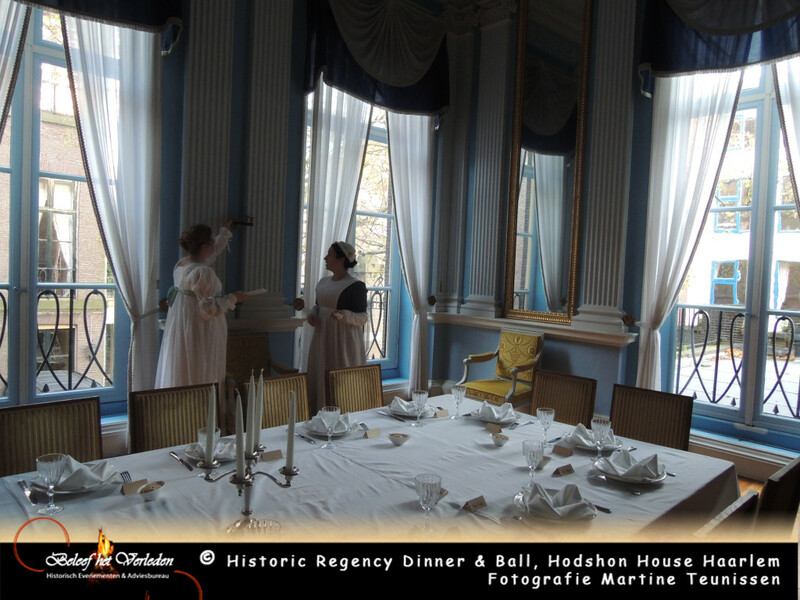 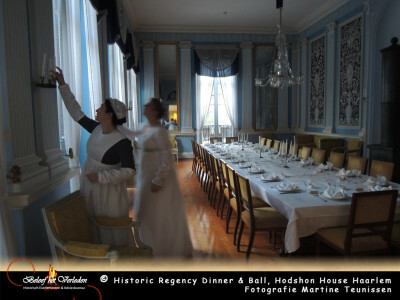 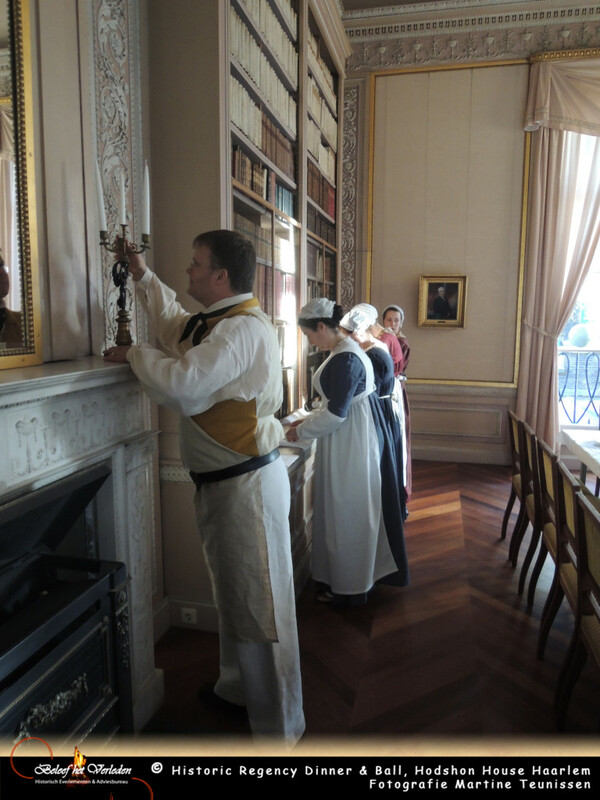 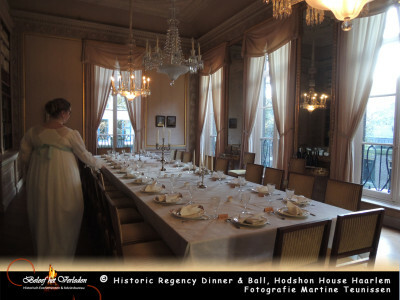 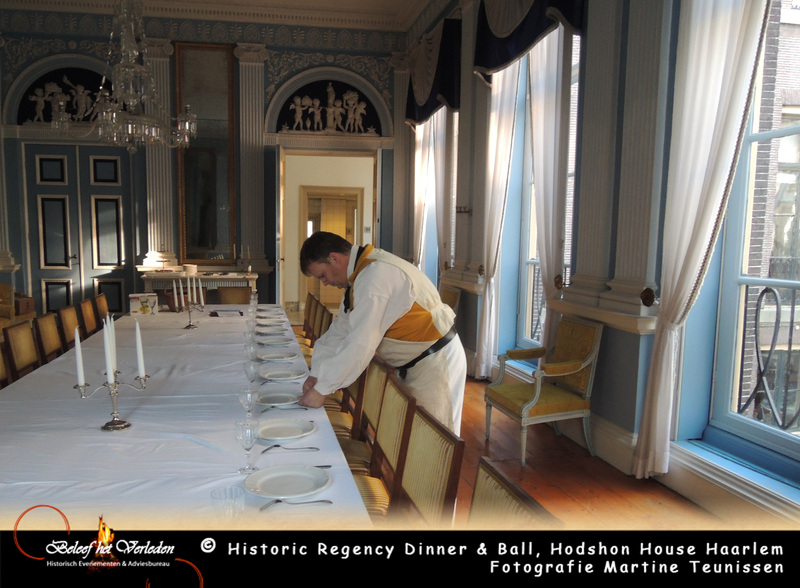 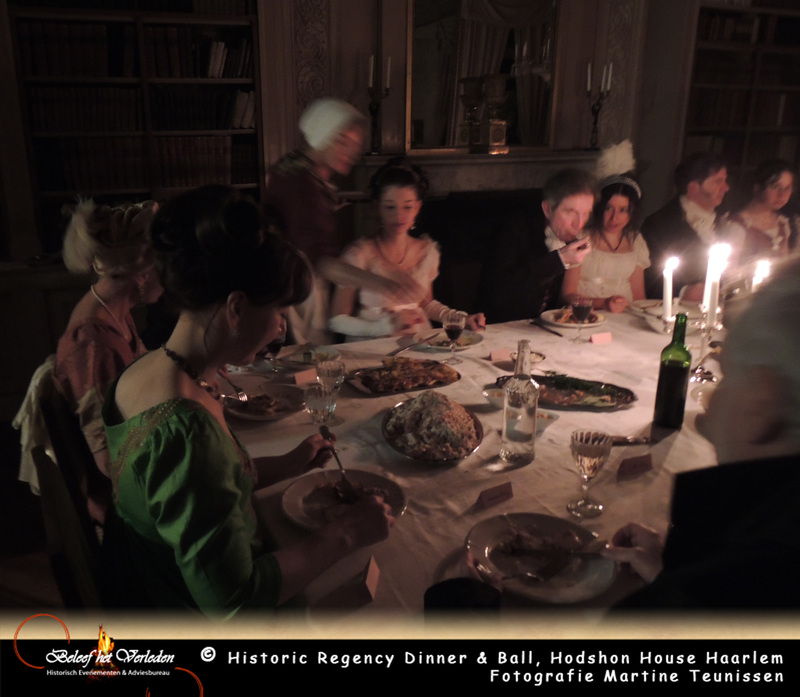 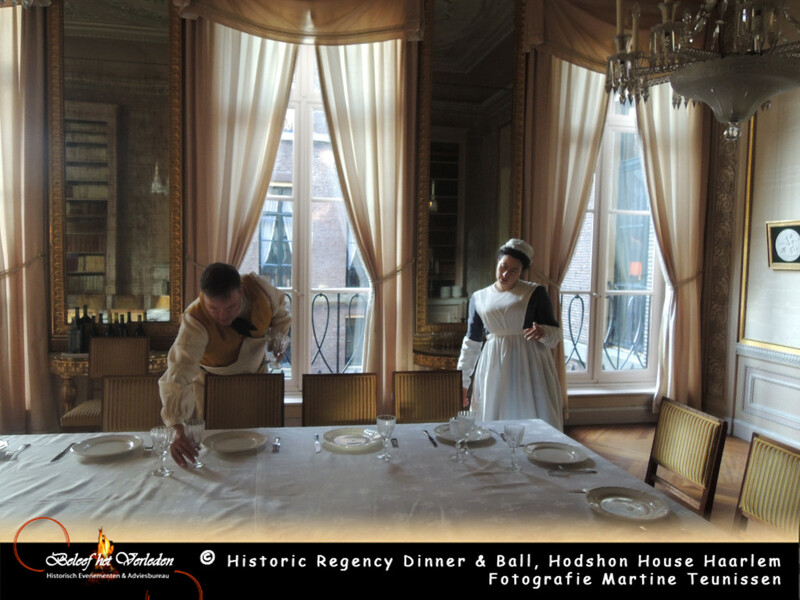 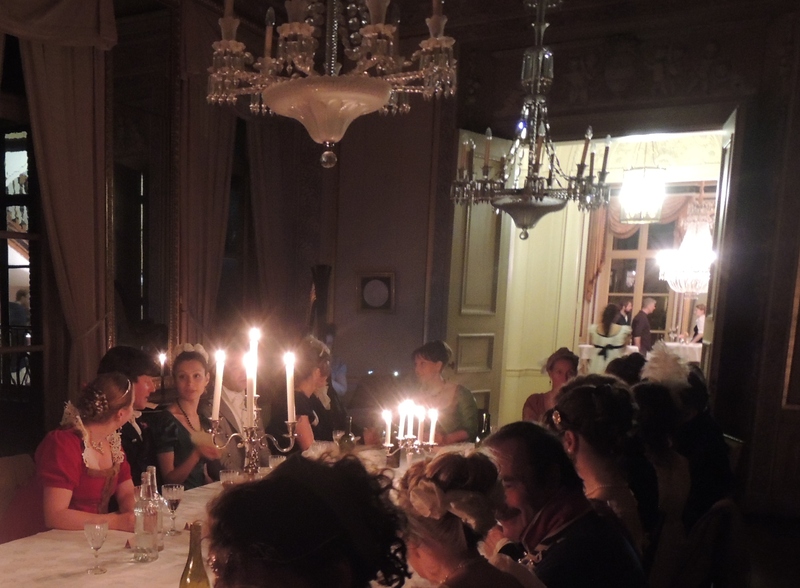 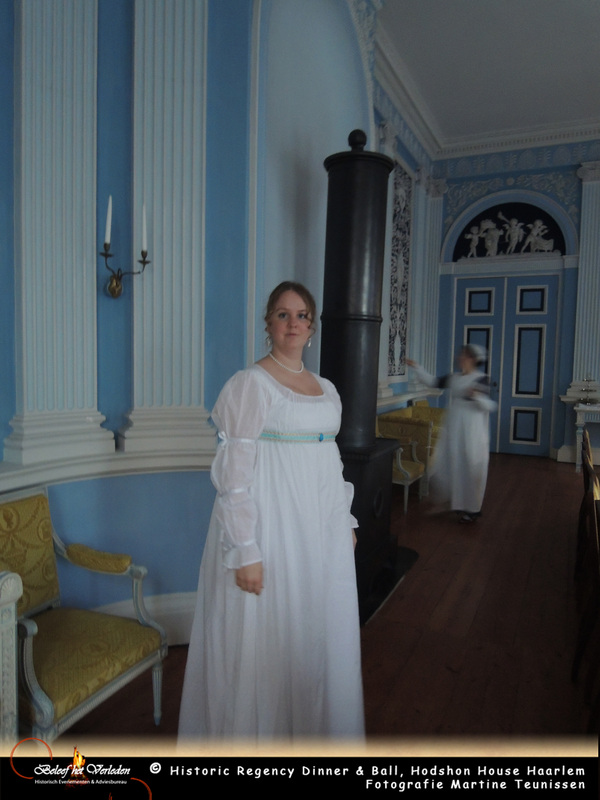 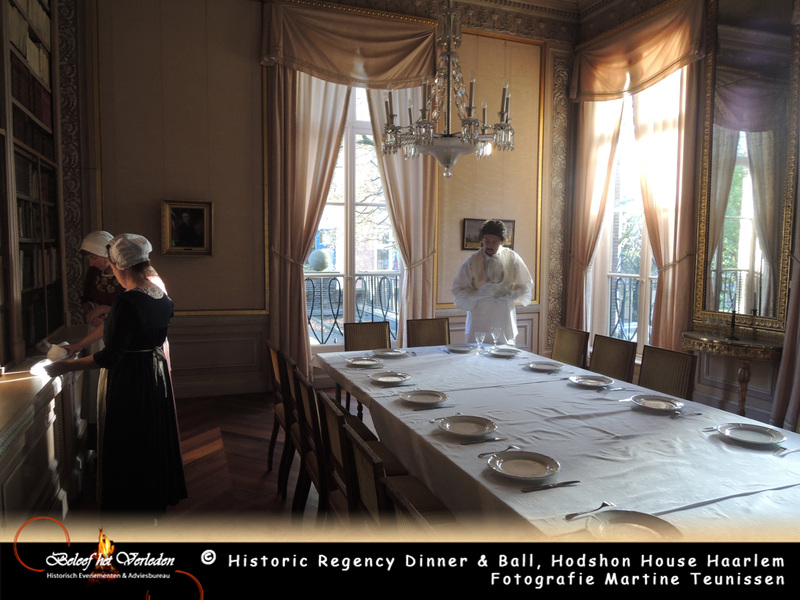 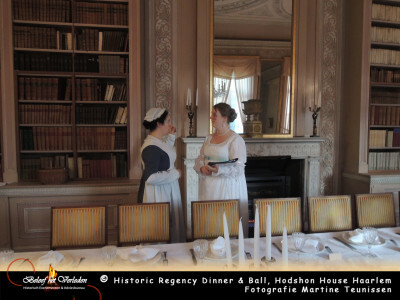 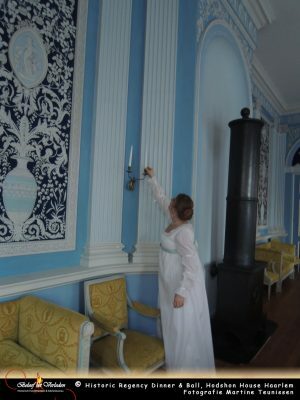 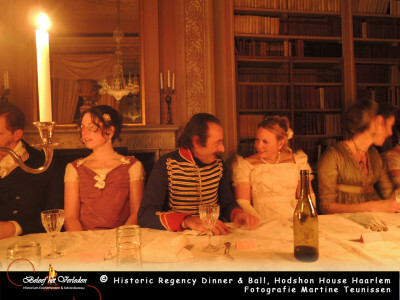 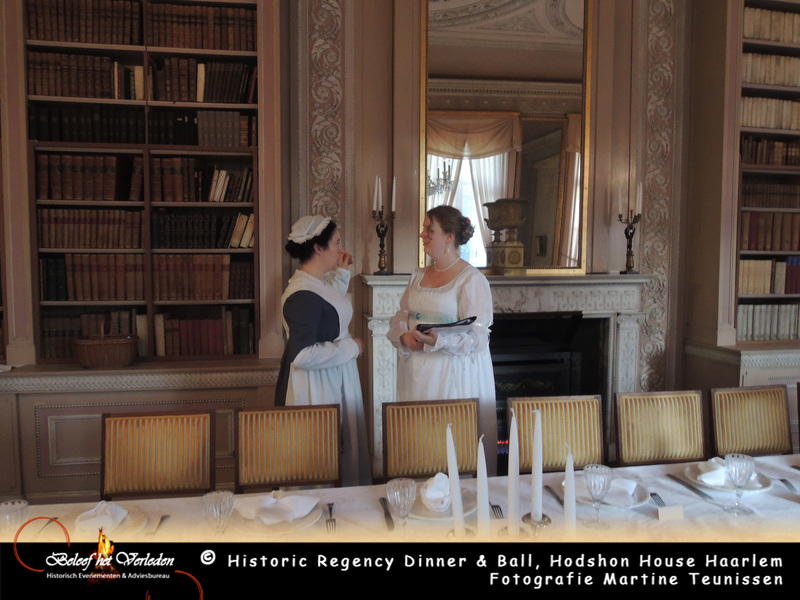 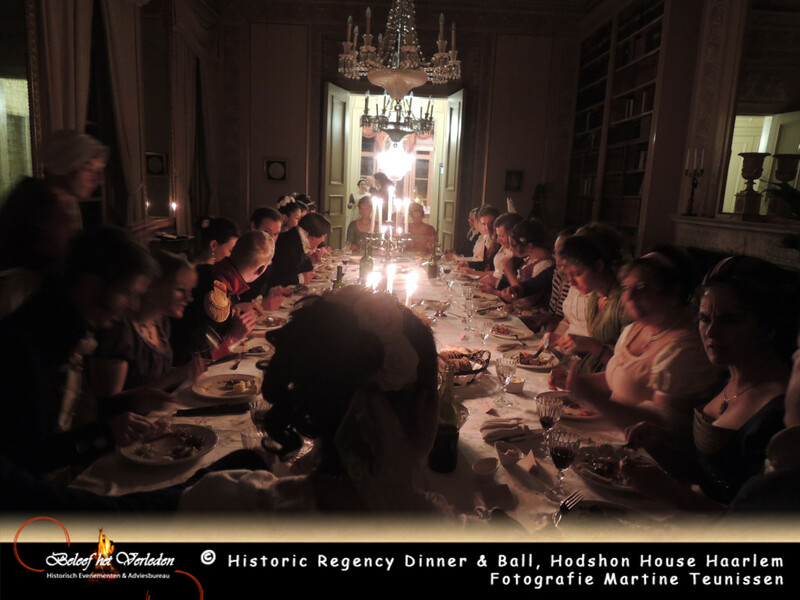 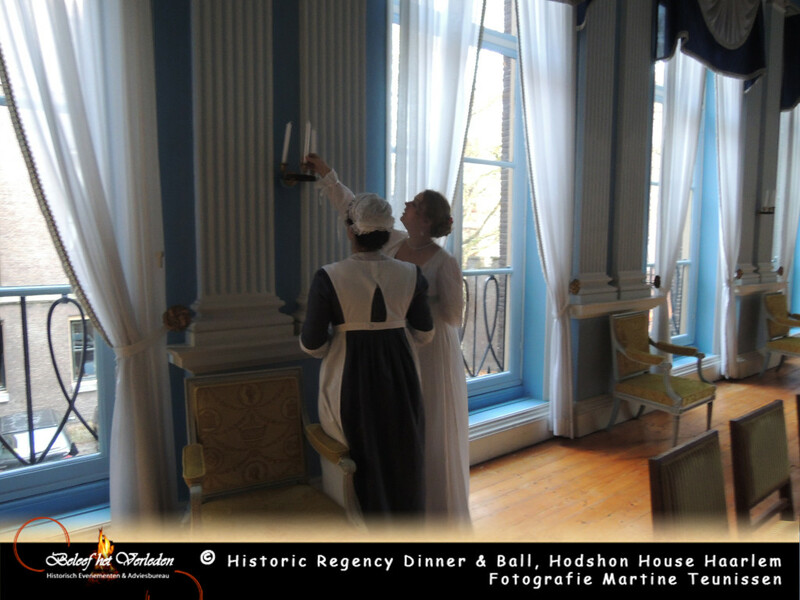 The 8th of November we held a dinner and ball in regency style in the Hodshon House in Haarlem. 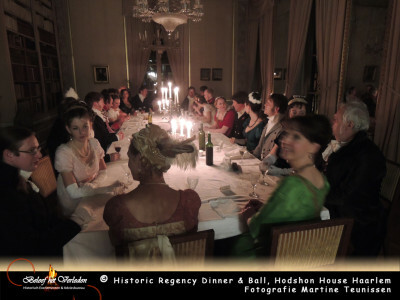 Experience the Past organised the dinner and the association ‘Reverence’ organised the ball. 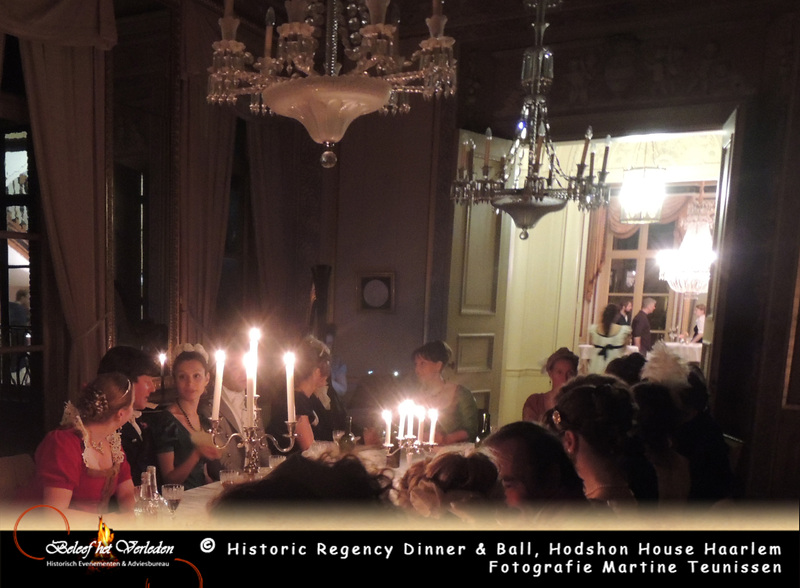 It was a fantastic evening, where the guests were received by Keetje Hodshon, the owner at that time. 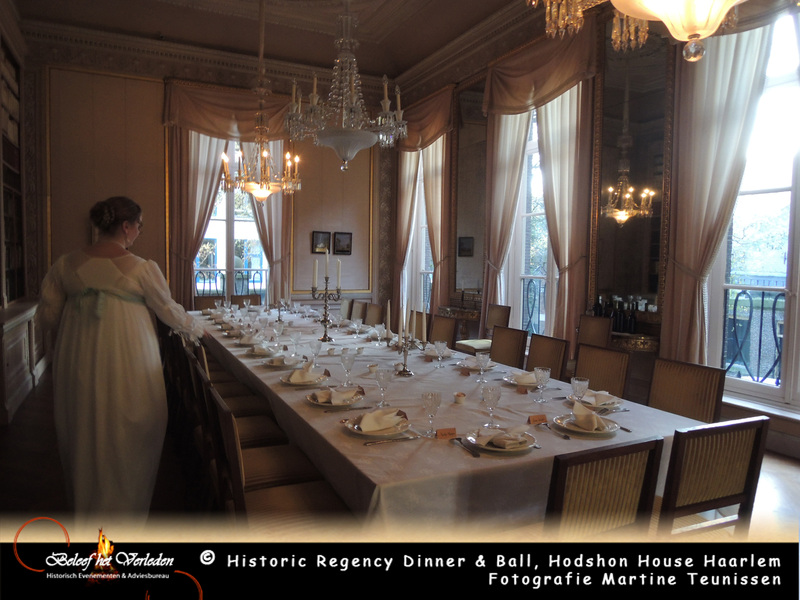 The guests were presented to Hortense de Beauharnais, queen of Holland. 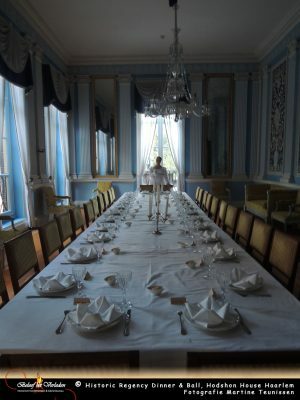 Dinner was served in the ‘red’ and ‘blue’ room ‘à la francaise’. 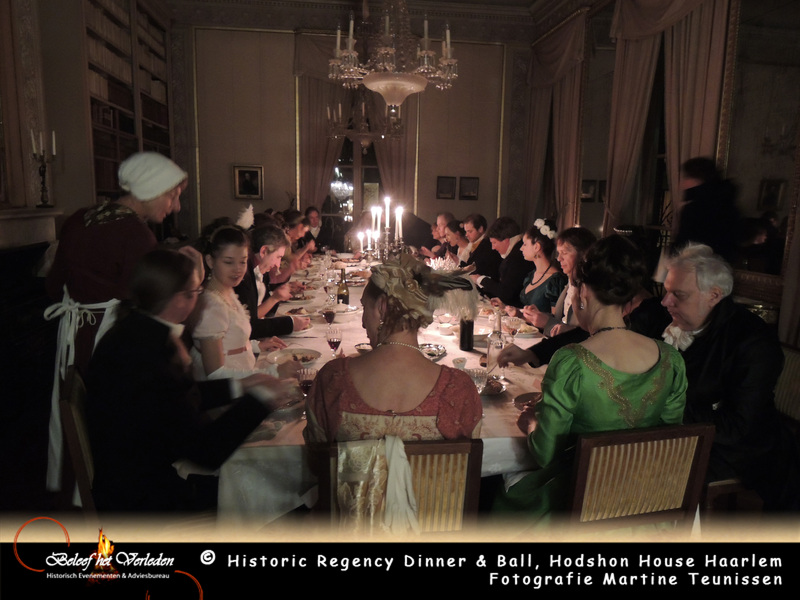 After dinner the ball was held in the great hall. 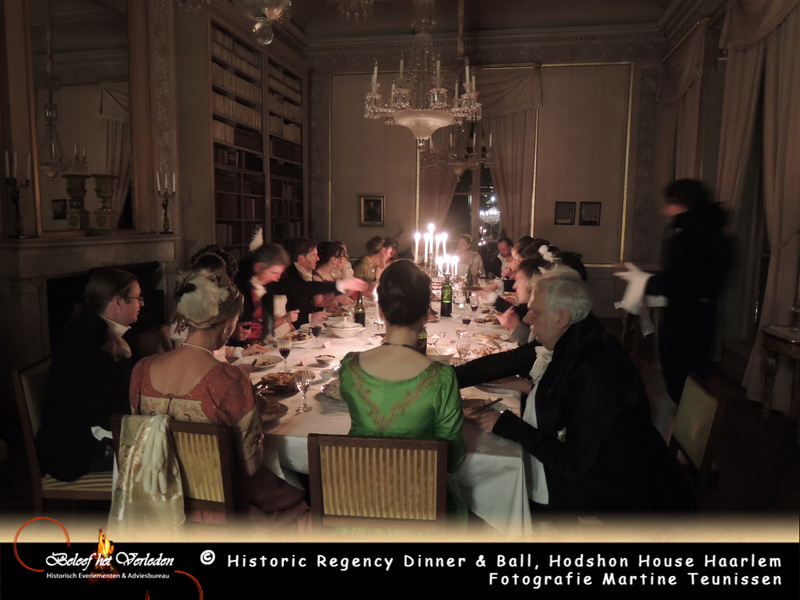 Below you’ll find some pictures of the evening. 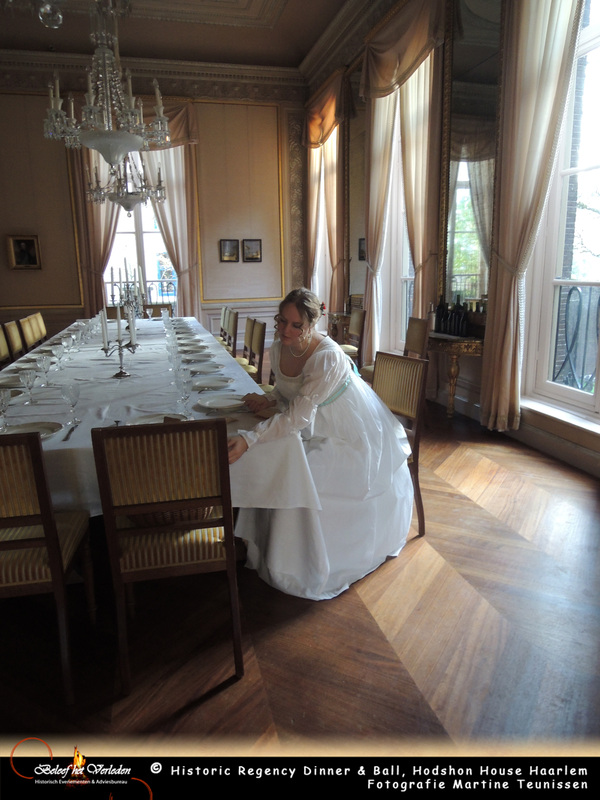 We have been filmed as well for a Dutch series of ‘NTR’. 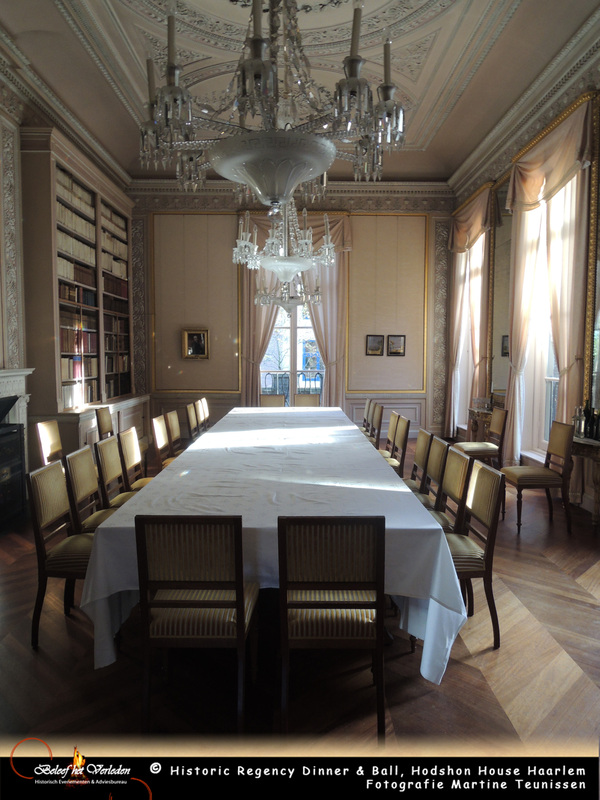 The program ‘The Iron Age’ will be broadcasted in April 2015, and presented by Hans Goedkoop. 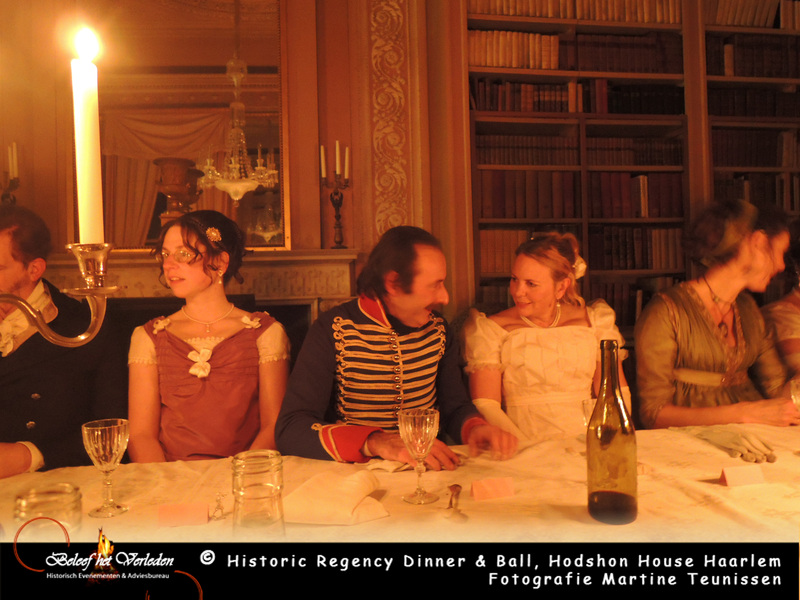 In the first of 13 episodes the topic is ‘Louis Napoleon’, and you may well see us back there. We hope you had a good time at our historic dinner and ball last Saturday. 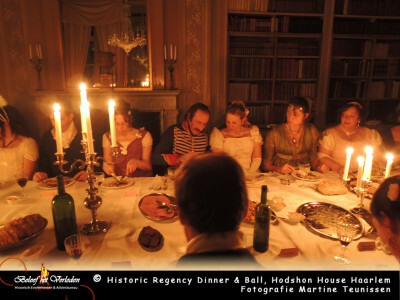 We from Stichting Revérence very much enjoyed working together with Beleef het Verleden, who organised the amazing dinner. 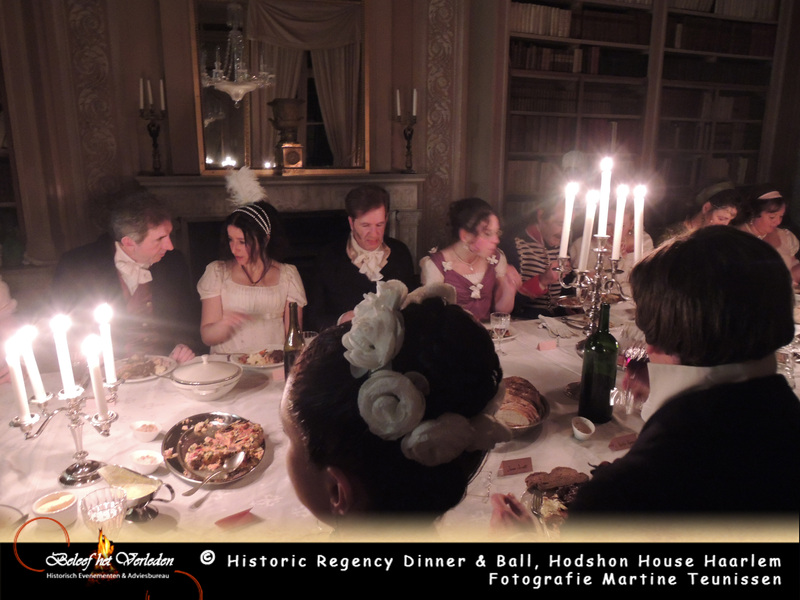 And we would like to thank everybody else who has helped in preparation and on the evening itself.